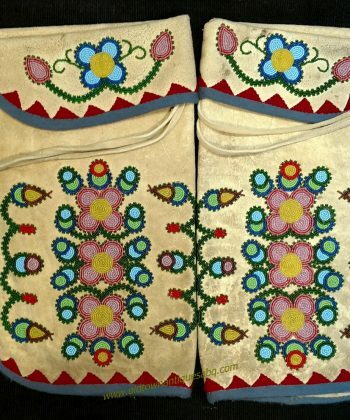 Circa 1910 or so and a fine example of antique Native American beadwork, this is a pair of women’s leggings. Beads stitched on to brain tanned hide. 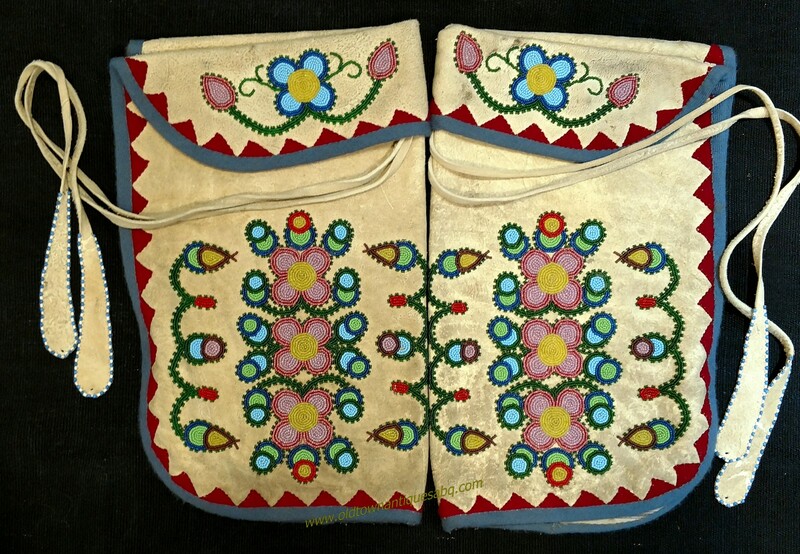 I think these are Cree or another Athabaskan group and I found very similar designs from near the Slave River tribes in Canada. Floral designs in multiple colors with translucent beads, greasy yellow, white hearts, clear and opaques. Gorgeous work with fine detail, even to the beaded trim at the end of the two ties on each piece. Each legging is trimmed with hand stitched red wool trade cloth and a wool ribbon trim, lined with old blue and white ticking material. Each measures 15 1/2″ x 9″ when folded with the cuff down. They’re in very good antique condition with only some surface soil, no major issues.